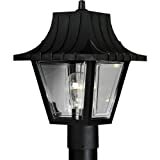 Break free from tradition and light your outdoor space in bold style with this Westinghouse Two-Light Outdoor Wall Fixture. 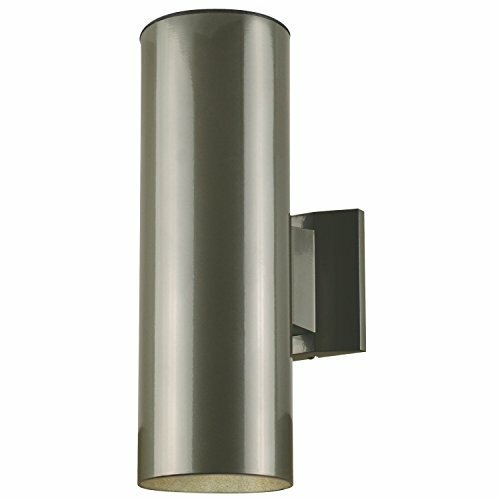 Made of steel, this fixture is distinguished by its cylindrical mid-century modern design. The modern aesthetic continues with the gleaming polished graphite finish, adding to the smooth nature of the fixture. A clean rectangular back plate contrasts nicely with the rounded body of this fixture. 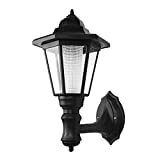 Install this fixture in your front or back entryway or by your garage door. You can also use it to create a striking accent for your porch, deck, patio, balcony, or side entrance. Wherever you mount it, you will enjoy the fixture's diverted light and sleek lines. The fixture is 15 by 5 inches (H x W), and it extends 8-1/4 inches from the wall. It is 7-1/2 inches high from the center of the outlet box. The back plate measures 5 by 4-1/4 inches (H x W). 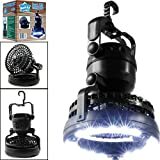 It uses two medium-base light bulbs, 75-watt maximum (not included). This Westinghouse fixture is UL/CUL listed for safety. It is backed by a five-year limited warranty against defects in materials and workmanship. Product reference number 67975.